2 oz of “Sweet Girl” perfume/room spray. This was made as a very small batch, and this is the only bottle of this available for sale. 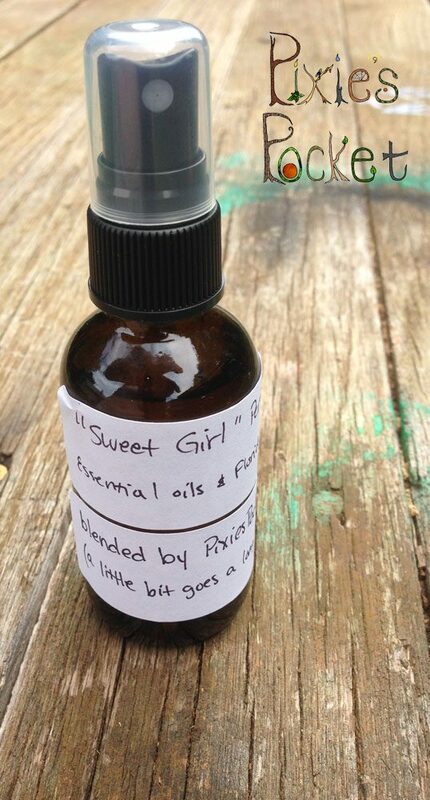 “Sweet Girl” is a blend of essential oils, rose water, and Florida water in a vodka base. This blend contains vanilla, mandarin orange essential oil, heliotrope essential oil, rose water, and Florida water. This spray has been more than just a personal perfume. 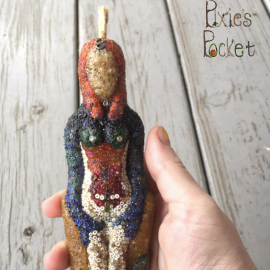 Since “Sweet Girl” is so floral and bright, I have used it as a room spray and as an altar spray for working with Oshun, fertility rituals, abundance rituals, and anything flirty or decadent. This is a very strong blend, and a little goes a long way. A single spritz should suffice, so this bottle will last a long time.